Citrus juice tastes delicious, is loaded with nutrients, and readily available for purchase at your favorite supermarket. But, if you’re a health-conscience individual who desires a processed-free diet, these juices won’t satisfy your needs. The juices you find at the supermarket all have added ingredients to keep them fresher, longer. These added ingredients remove the nutrients from the juice, and even affect the taste! Is there a solution? When you own one of the best citrus juicers, you’ll be able to create fresh-squeezed juices right from your kitchen, whenever you want a cup! But, don’t buy the first juicer you find, assuming they’re all created the same. Citrus juicers are very different, and some are better than the next. It’s up to you to find the citrus juicer most suitable for your kitchen. After careful research, the 10 best citrus juicers have been chosen, and the results placed here for you. These 10 best citrus juicers offer the qualities that you want and need in a citrus juicer, including easy-to use features, great pricing, and quality juice extraction. At a cost 10 times less than the competition, the Proctor Silex Alex’s Lemonade Stand Citrus Juicer is oftentimes overlooked, considered a cheap, worthless product. 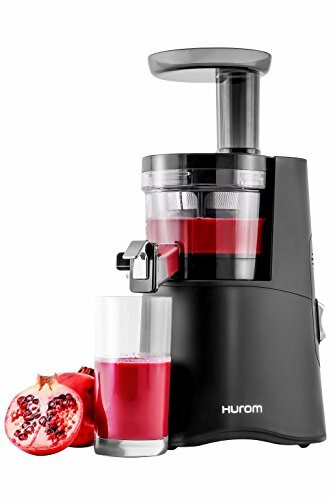 However, this model happens to be one of the absolute best juicers on the market today. 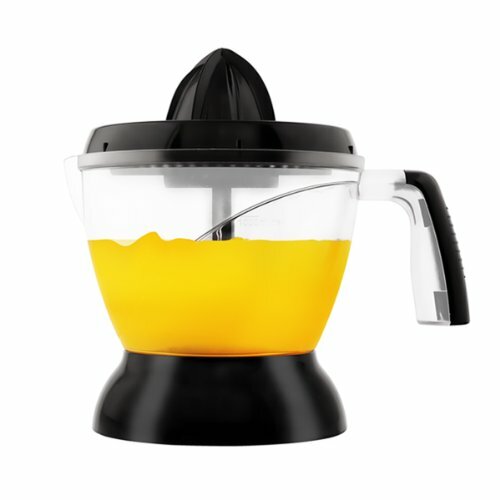 This citrus juicer is not only one of the least expensive models, but one that has plenty of extras thrown in that many of the other model’s lack, including a self-contained pitcher and a built-in pulp control system. The 34-ounce citrus juicer can’t produce gallons of lemonade (or your citrus juice of choice,) but they’re perfect for singles, couples, and smaller juice quantities. The citrus juicer is dishwasher safe. Like the Proctor Silex juicer, the Black & Decker CJ625 is another highly recommended citrus juicer. A 30-watt electric motor makes juicing easy and fast, and with a drip-free pouring spout, you won’t waste any of the fresh juice you’ve created. The citrus juicer has other great features, including an auto-reversing reamer, a strainer and a stirrer, and pulp control so everyone in the home has the perfect cup of juice for their tastes. The clear-view container help you easily read the measurements for precise juice creation every cup. 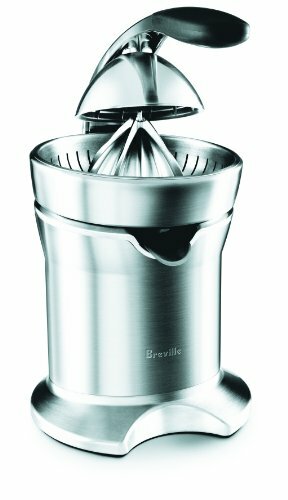 Breville is an exceptional luxury brand with a variety of juicers, including the Citrus Press. The easy-to use Citrus Press helps create delicious grapefruit juice, orange juice, lemon juice, and more, all with a few pushes of the button. 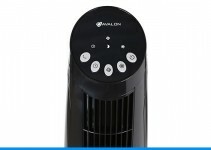 The electric juicer offers quite operation, and is sold in your choice of four colors. There’s a built-in sensor that makes it easier to extract your juice without depleting the nutrients. There’s also a stainless- steel juice container to hold your extractions. Parts are dishwasher safe. A one-year warranty backs the Breville citrus juicer, adding even greater peace of mind to your purchase. 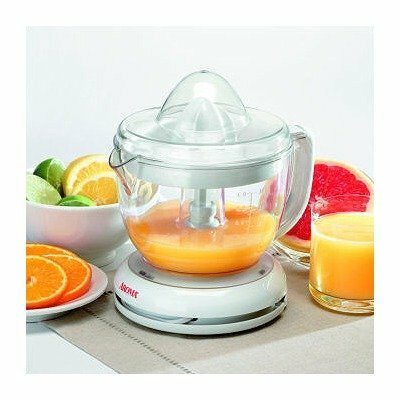 The Juiceman JCJ1505 Automatic Citrus Juicer is a 40-watt electric juicer that includes two juicing cones so you can produce just the right amount of juice for your needs. The easy-to use juicer has an auto-reversing feature, a snap-up juice spout that keeps messes at bay, and is dishwasher safe so clean-up is a snap. You can extract juice from small or large fruit with this machine. The built-in cord storage minimizes storage space needs. 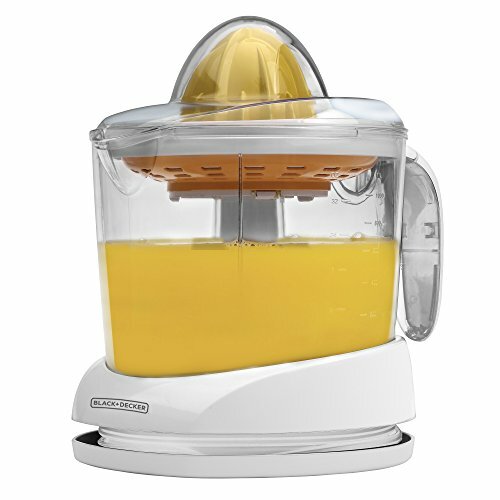 This citrus juicer includes a 2-year warranty. Cuisinart is a trusted kitchen appliance brand known for creating high-quality products. And so, there’s little wonder why their CCJ-500 citrus juicer makes the list of top citrus juicers. This juicer has a solid stainless steel design, and is available in four colors for added elegance and style to your space. 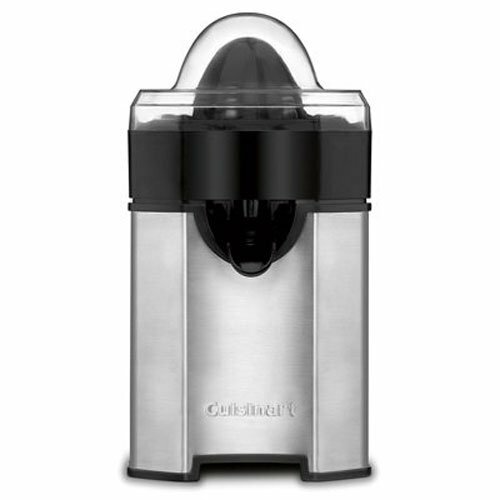 The Cuisinart citrus juicer has three pulp settings, auto reverse juicing, a final spin feature that extracts more juice, and is easy-to use. 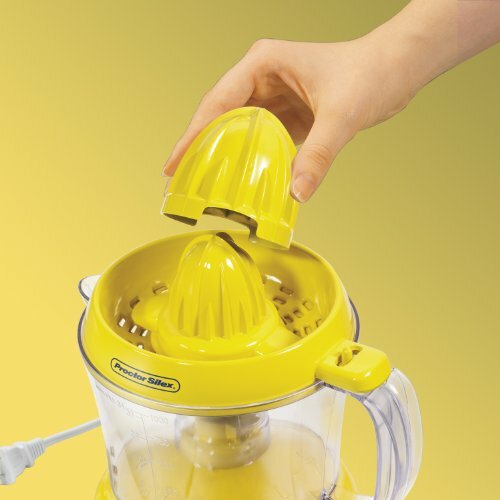 The juicer is easy to disassemble, and many parts are dishwasher safe. 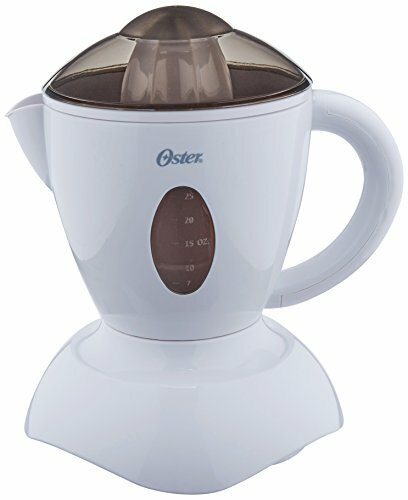 The 20-watt Oster 3186 Juice-n-Serve Automatic Citrus Juicer offers quiet, smooth operation, easy use, pulp and seed separator, a juice-level indicator, cord storage, and much more. There’s a 27-ounce storage pitcher, and a reverse-action motor for the best juicing capabilities. And, there’s a 1-year warranty included! 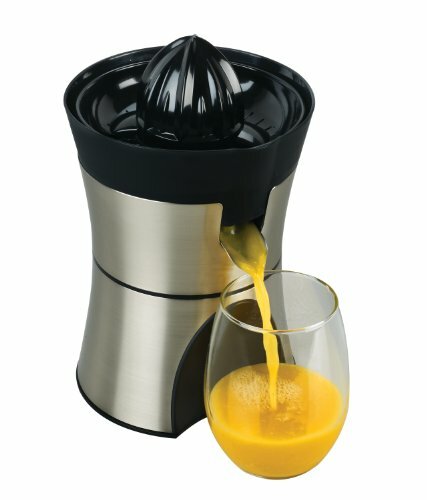 This juicer goes from countertop to table with the easy-to-use pour spot, making life simple and easy! 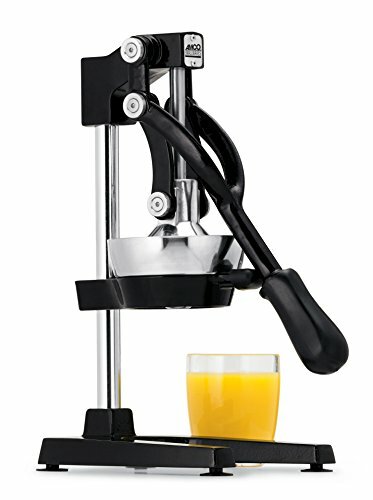 The OrangeX Jupiter Citrus Juicer is a manual juicer constructed of durable stainless steel and cast iron. It is a commercial-grade juicer with an ergonomic handle with 2,300 PSI of pressure and a heavy base for added durability. The OrangeX juicer is tough and efficient, ensuring that you get all the juice possible from the machine. The juicer is offered in your choice of white or black color. When you want a boss juicer, Big Boss 8962 is there to answer the call. This electric juicer keeps it simple so using the unit is a breeze. But, the features and abilities of the machine are anything but simple. Creating fresh-squeezed juice has never been easier! 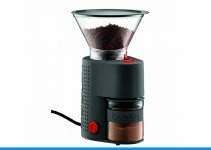 The Big Boss is offered in five color choices, including black, blue, and green. It’s easy to add a little fun to your kitchen décor with these fun choices. The Big Boss has one-touch operation, and can extract small and large citrus fruits. The Aroma Housewares citrus juicer is another top product that makes getting the juice that you want easy. Not only does this product have a fun name, it’s also easy-to use thanks to one-push activation. The juicer is 1-quart in size, with removable part for easy cleaning. It’s even dishwasher safe! Two reamers of various size are included with the Aroma Housewares Citrus Juicer. This luxurious rose gold colored citrus juicer is designed to look great and produce great-tasting juice without effort; any time that you’d like a cup of fresh juice. With 43 revolutions per minute spinning speed, you’ll get every single nutrient from your juice as you deserve. The versatile juicer is great for citrus choices, but can also work wonders for vegetables and fruits, too. The juicer even has capabilities of creating ice cream!